When a teenager (Graham Rogers, “Quantico”) loses his once-in-a-lifetime girlfriend (Stefanie Scott, “Jem and the Holograms”) in a tragic accident, he finds that running keeps him connected to her during his ‘runner’s high’ moments. Chasing her memory drives him to run faster, and to win for his new coach (Billy Crudup, “20th Century Women”). Before long, however, his newfound notoriety attracts the attention of a whip-smart new girl (Liana Liberato, “If I Stay”) who is determined to find out what’s really going on inside him. Soon, he finds himself caught between keeping the past alive and making new memories in the present. 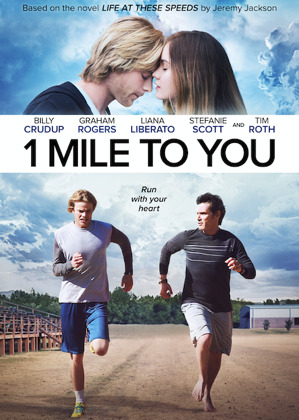 “1 Mile to You” is an uplifting, emotional, and visceral romantic sports drama about the power of our fondest memories to sustain us through our worst traumas–and when it is time to let the memories go and face an uncertain future.